Marilee's Numbered Pins regularly priced $29.99, today $17.99. 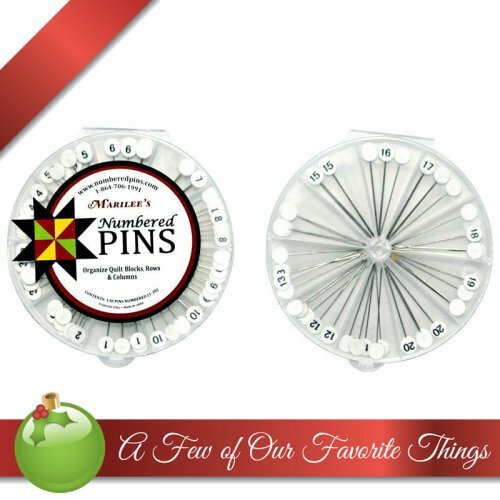 Perfect for organizing your quilt blocks, rows and columns, Marilee's Numbered Pins contains 130 straight pins numbered 1-20. Each pin is approx. 2" in length and comes in a convenient double sided plastic case with divided sections holding the numbered pins. So convenient for taking to class, demos and more. Reverse side of pin head is blank which you can mark with a permanent marker.